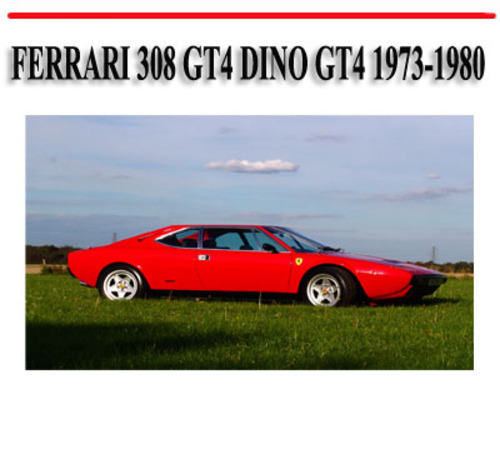 This is a very comprehensive manual (DOWNLOAD in PDF format) for FERRARI 308 GT4 DINO GT4 (1973-1980) Features detailed exploded views. This is the same manual that technicians use to fix your vehicles. Manual covers detailed and complete step-by-step written procedures with pictures and diagrams, fully printable-selected pages or whole manual, illustrated. So, you will not be disappointed. This is the manual for Repairs, Maintenance & servicing.